Located approximately 30 miles west of Dumfries, Kirkcudbright is situated a short distance from the A75 Carlisle to Stranraer road. Turn off the A75 onto the A711 and follow the road into Kirkcudbright. Follow this road into the town and carry on straight through, following the signs for Dundrennan. As you leave the town, you will pass a housing estate on your left and then green fields. Take the next turning on the left which is clearly signposted CANNEE. The roadway climbs gradually upwards for a couple of hundred metres where you will see Cannee Court at the top of the road, easily identified as the Cider Tower is unmistakable. 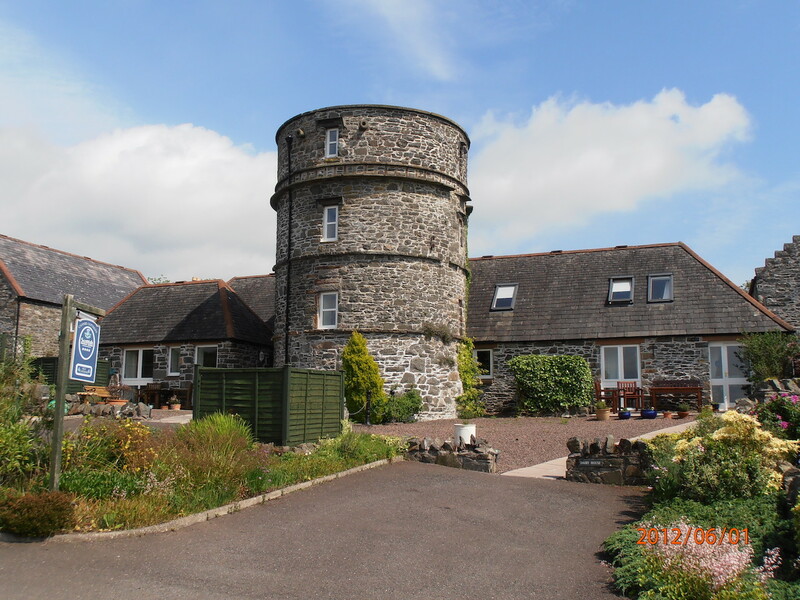 Once you see this building with its distinctive cider tower, you know you've arrived in the right place!